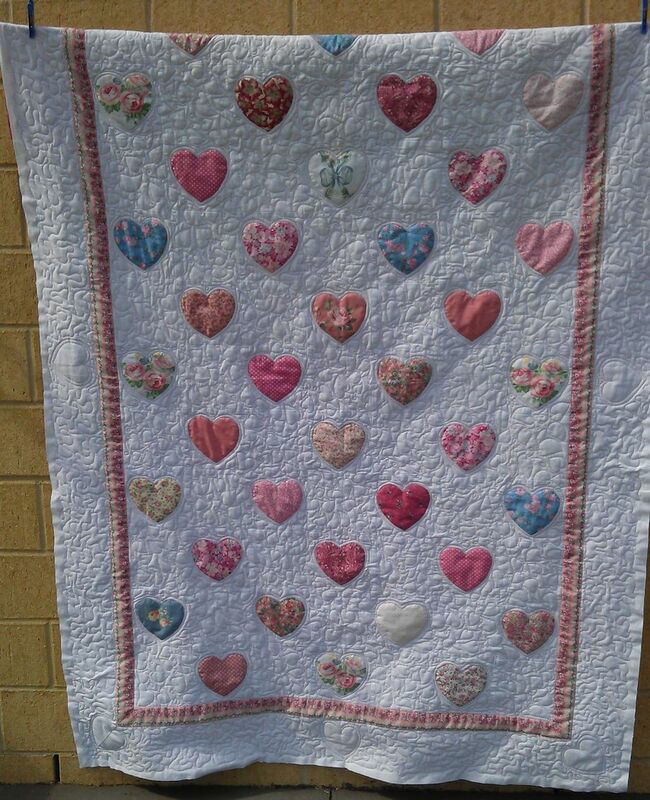 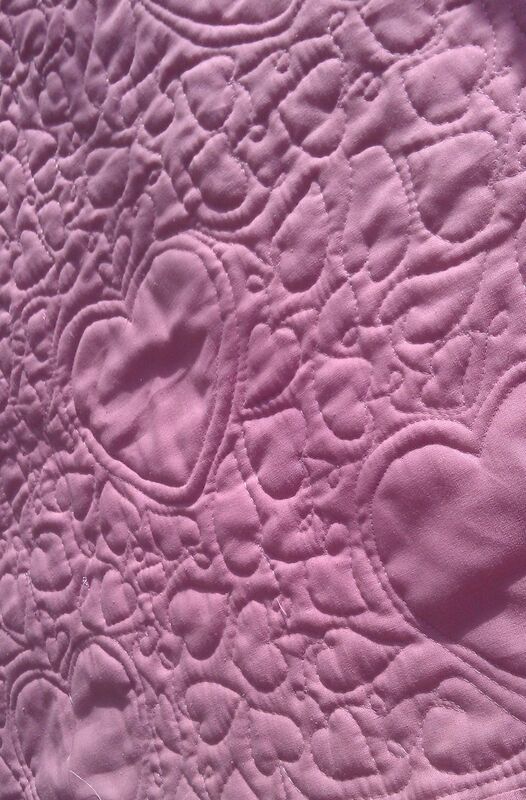 Another pinkish quilt — this time of hearts. 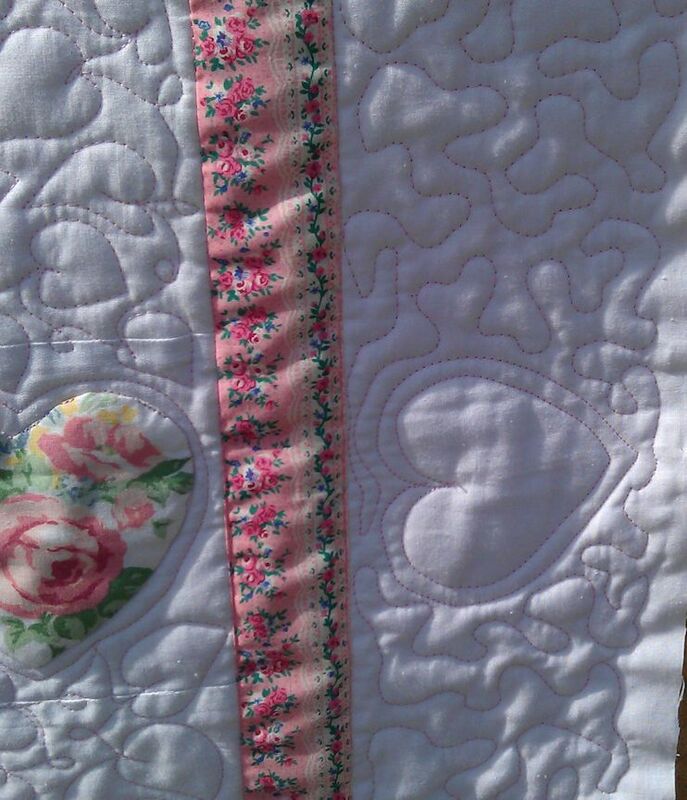 I stitched in the ditch around each heart and the sashing borders, then did a continuous line meandering hearts and loops motif in the centre of the quilt, echo stitching around each heart as I came to it. 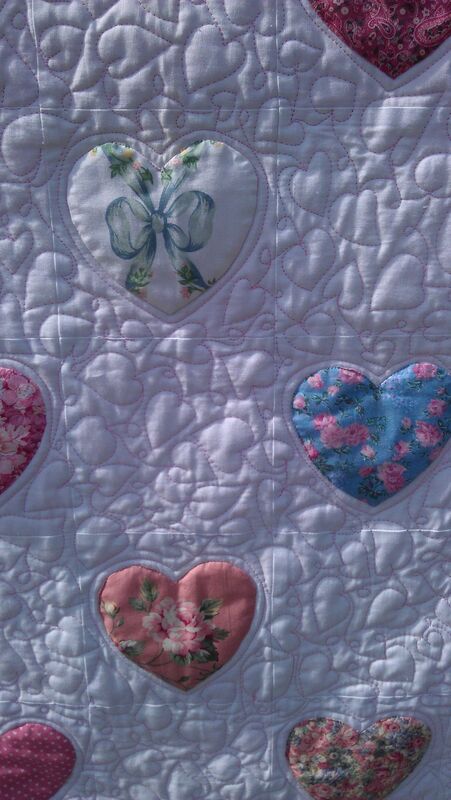 For the border, I free stitched (no markings, no rulers/templates) a heart in each corner and half way along each side, then just did a large simple meandering stipple between these hearts.